Waterford County Council is well set up to help this searching. There is a fine , free booklet and lots of online resources. 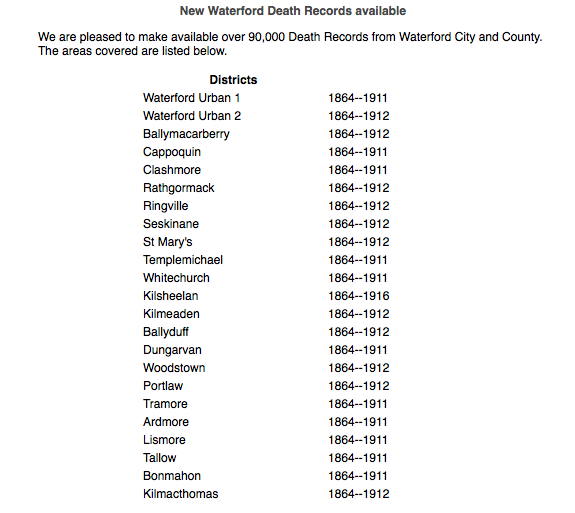 Recently a series of lists was added – those who died in various townlands in Waterford.